Nations Press feature health news Reasons why some people attract more Mosquitoes than other-Must Read! Reasons why some people attract more Mosquitoes than other-Must Read! 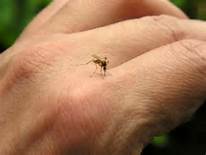 SPONSORED LINKS Few animals on Earth evoke the antipathy that mosquitoes do. Their itchy, irritating bites and nearly ubiquitous presence can ruin a backyard barbecue or a hike in the woods. They have an uncanny ability to sense our murderous intentions, taking flight and disappearing milliseconds before a fatal swat. And in our bedrooms, the persistent, whiny hum of their buzzing wings can wake the soundest of sleepers. Beyond the nuisance factor, mosquitoes are carriers, or vectors, for some of humanity’s most deadly illnesses, and they are public enemy number one in the fight against global infectious disease. Mosquito-borne diseases cause millions of deaths worldwide every year with a disproportionate effect on children and the elderly in developing countries. But what attracts mosquitoes anyway? Based on a recent research, mosquitoes are actually drawn to some types of people. Apparently, every person has a unique mixture of bacteria, which produces chemicals that let out different smells. Mosquitoes are attracted to people who emit lactic acid, carbon dioxide, and apparently, they are attracted to the smell of beer drinkers as well.